Working on Shoes of Prey is very motivating. It's extremely rewarding and satisfying to be working on a business where I am a joint owner, and the fact that we're happy with how it's going so far helps an enormous amount too. 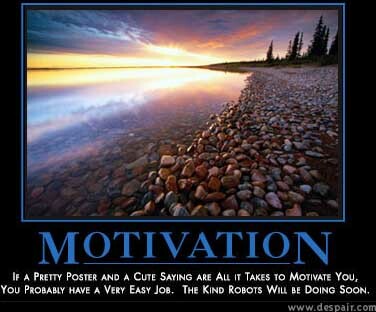 That said, there are times when the level of motivation drops a little, and one of those times is now. I've always enjoyed roles that involve customer service because I like making people happy. The flipside of this is I don't like disappointing people, so I don't enjoy customer service at all when I'm not making people happy. Our first ballet flats will be finished next week which is a little later than we'd promised our customers. I love fulfilling special requests like sending leather samples to customers, or allowing customers to make changes to their shoes that aren't in our designer, but our workshops are about to close so we can't do these things. And I've probably turned down about 10 customers in the last few weeks who wanted wedding shoes because I can't be confident we'll have them ready in late March or early April for their weddings. It sounds ridiculous but I almost feel physical pain disappointing customers and turning down sales. And when something isn't enjoyable it's that little bit harder to be motivated to do it, the mind wants to escape and think of something else. All of that said I'm still very motivated and this isn't a major issue, but I'd love to hear thoughts from others on how you stay motivated when times are tough. Michael I work in a very sales based industry and deals do spin the wheels. However part of my job is letting someone down most days. Be it a supplier, Wholesaler or retailer. No matter what comes from passing on disappointing news if your product is something better then most in the market place, or has that fantastic point of difference, or your value add is to good to refuse. Then the same customer who was disappionted today will at some point come back and spend money. Letting them down a second time however is a different story. Hi Alex, cheers for your thoughts. Fortunately Chinese New Year is only once a year so hopefully we're able to avoid disappointing anyone a second time. Good to keep that in mind, thanks. Michael--i've been reading ur posts (and waiting for my shoes to arrive in palo alto:) i'm impressed by ur transperancy and heart. hang in there...it's a long road. good loyal customers will appreciate it. I think you people are very interesting ... keep on making people happy ... because by making people around you happy then it is said that you have been happy ..